Police Searches Of Social Media Face Privacy Pushback : All Tech Considered Data analytics firms that analyze vast amounts of public social media are a tool for law enforcement. But there are signs that Twitter, Facebook and others are shutting off access to that data. 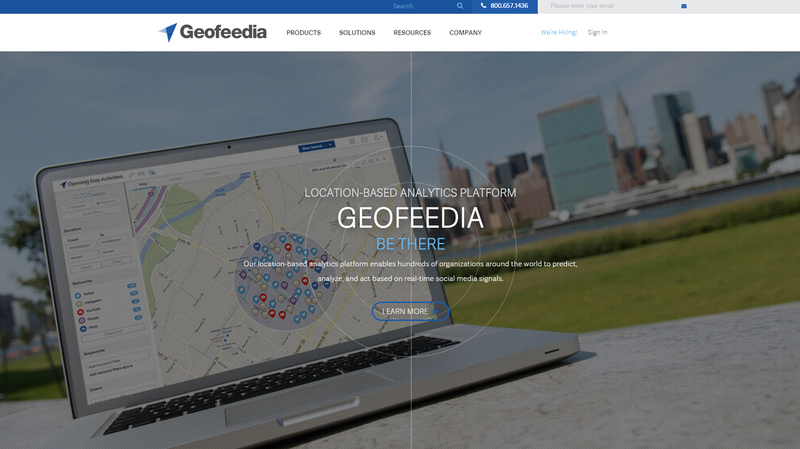 Twitter and Facebook have restricted access to users' data for Geofeedia, a data analytics firm, over privacy concerns. Earlier this week, Facebook and Twitter restricted the bulk data access to users' information for a company called Geofeedia, after the ACLU of Northern California published a report revealing that Geofeedia had suggested to police departments that they could use the service to track protests. Social media monitoring services such as Geofeedia rely on bulk data access to be able to search far larger volumes of social media posts, and more efficiently, than the average user. It's the kind of large-scale social media analysis that's mainly used by commercial clients, such as marketers, but which has also been sold to law enforcement agencies. The social media posts being scanned are public, but the ACLU's Nicole Ozer says the practice is still an invasion of privacy, because of the sheer scale. "Many of these police departments are actually surveilling entire communities," Ozer says. That's a reference to the services' ability to pinpoint social media posts by location — although most people don't enable location tagging on their social media, and wouldn't be subject to this kind of "geo-fencing." Still, services such as Geofeedia can comb through and analyze vast numbers of public social media posts, which can sometimes allow police to track someone down, even if that person isn't visible online. Recently, police in Texas used social media to locate a teenage girl who had run away after stealing her father's handgun and car, says Nick Selby, a police detective there. "What we had to do is look for her in the traffic of other people talking with her or about her," Selby says. It's easier to cast a wide net like that with a social media monitoring service such as Geofeedia. But in recent months, these tools have become less available to police. Twitter, in particular, appears to be getting more restrictive. Not only did it cut off Geofeedia's access to bulk data following the ACLU report, earlier this year it quietly cut off data to another company, Dataminr, because it provided deep searches of public Twitter feeds to U.S. intelligence agencies. The same thing may now be happening to companies that provide searches to law enforcement. Selby, the detective in Texas, says the change has affected the social media search abilities at his disposal. There's a difference between posting something online, and thinking that that information is going to end up in a huge database that the police are going to be able to search through at any time for any reason. "I have had to re-work tools to emulate the [bulk data stream] from Twitter, and scrape the public Twitter feeds of people of interest because we can no longer buy this from a lot of the vendors who used to have it," he says. A spokesman for Twitter would not say whether the company has changed its policy toward searches by law enforcement; in an email, a spokesman pointed NPR to the company's guidelines for developers (that is, companies such as Geofeedia that use Twitter data). The guidelines bar search companies from allowing law enforcement agencies to use the data to "investigate, track or surveil Twitter's users (...) in a manner that would require a subpoena, court order, or other valid legal process or that would otherwise have the potential to be inconsistent with our users' reasonable expectations of privacy." But that policy is very much open to interpretation, because police don't usually need legal orders to search public social media, and it's arguable whether such searches violate users' "expectation of privacy." The ACLU's Ozer believes it does, and that privacy laws need to catch up. "There's a difference between posting something online, and thinking that that information is going to end up in a huge database that the police are going to be able to search through at any time for any reason," Ozer says. If Twitter has decided to cut off law enforcement, it would represent a dramatic change. In recent years, several data analytics companies have openly marketed Twitter-based search tools to law enforcement, with no complaints from the social media company itself — at least, not in public. Now some people inside policing believe the climate has turned against them. A few departments have tried to address fears of surveillance by establishing internal rules to make sure officers don't search social media "at any time for any reason," as Ozer put it. The police department in Dunwoody, Ga., for instance, requires officers to get their social media searches approved ahead of time by a supervisor. "So you can't target particular groups, or classes of people, or different ideologies," says Chief Billy Grogan. But rules like this have been slow to catch on. Most police departments don't restrict social media searches, in part because it doesn't occur to police that they shouldn't be searching public data the same way a marketing company does. That freedom may now be at risk, as companies such as Twitter feel pressure from activist groups such as the ACLU to turn off the data tap.